This patient had previously underwent surgery at a different facility before seeing Dr. U. His hair was still thin and he was left with a surgery scar on the back of his head. 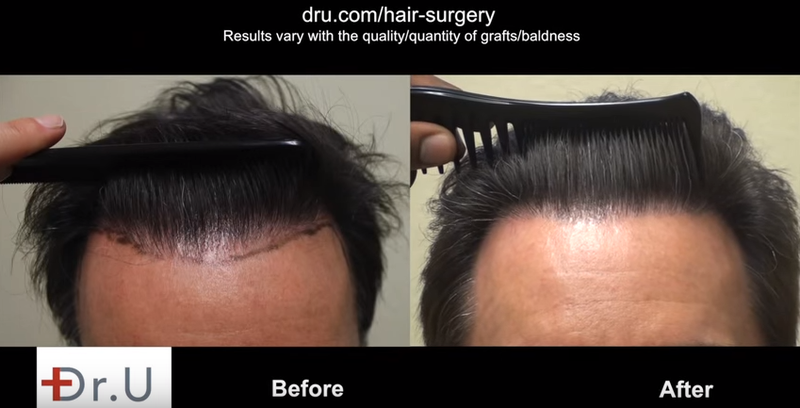 Dr. U gave the patient a UGraft FUE Hairline Transplant for the best results. In the video above, the patient describes how a hair surgery sales person was unaware that he had even received any type of surgery.